In each of the 9 grids you will see two numbers. The number on the upper left represents the annual star (red = afflictive, blue = auspicious – these should have been taken care of at the beginning of the year) and the black number in the bottom right represents the monthly star which will have an influence on your luck during this current month. If you are not yet familiar with the compass orientations of your home, then please use a reliable compass to take the directions. I recommend to take one compass reading from your main door, looking out, and another one from the center of your living room, looking towards your balcony or picture window. These two readings should enable you to determine the compass directions and locations of your home. Take particular note of the location of your front door and your master bedroom, as the stars in those sectors will affect you the most. The SE is a most auspicious sector this month, being the home of two extremely lucky stars! The annual Prosperity Star brings wealth luck, and the monthly Heaven Star brings additional windfall luck. If you are in the habit of entering competitions or playing the lottery, you have a good chance of winning this month! There will also be opportunities to move forward in your career. 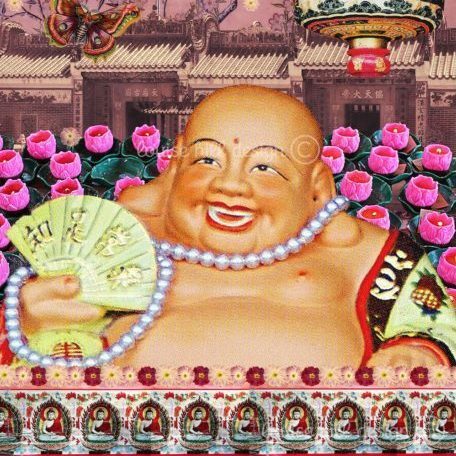 To enhance, display a Mountain of Gold with mantra in your SE to boost income and upward movements in your career, and/or 6 Smooth Coins to activate the monthly No 6 Star for windfall luck. It is also a great time to expand your business. The Illness Star flies into the SOUTH this month, particularly affecting the daughters and those with main doors or bedrooms in the SOUTH. The heart area is especially affected. Display a Bejewelled Medicine Buddha and a Wu Lou here for protection. Take care not to use bright lights in the SOUTH this month as that will strengthen the Illness Star (which we don’t want). Married women please be aware of predatory males entering your life who might hurt and betray you. Display an Amethyst Tree in the Nien Yen direction of the lady of the house for protection. Good fortune dominates in the SW as the No 4 Star brings wonderful academic, literary and love luck. Combined with the annual No 6 Star you can also look forward to unexpected windfalls – especially the matriarchs of the household and those with bedrooms in the SW.
To enhance wealth luck, place a Bejewelled Wish Granting Tree in your SW. Be careful with a water feature though as that could lead to the husband having an affair if there is too much water. If you wish to protect your marriage, place an Amethyst Geode here. To boost study and exam luck for students, display the Luo Han for Scholastic Brilliance and make sure your student carries an Education amulet. Serious danger looms in the EAST as the monthly Five Yellow flies in, bringing misfortune and health problems. Display a Five Element Pagoda for protection and keep a Wu Lou on your bedside table if this is your bedroom. Those living in EAST-facing houses should delay business negotiations or they might find themselves victims of fraud and cheating. Remember the danger of burglary and theft brought by the annual No 7 Robbery Star and make sure your EAST is well protected, especially if your front door is located here. Yin water is an excellent cure for this star combination or display an Anti-Burglary Lumi Tile. The energy in the Centre area is less than auspicious as the monthly Robbery Star brings violence and danger. This will affect all family members! In addition to the risk of burglary and theft there is also the risk of losing money. Display an Anti-Burglary Lumi Tile or a Rhino & Elephant here for protection. The elements of the stars clash, leading to disagreements within family members. A Happy Buddha here will help keep the peace. Pregnant women should avoid spending too much time in this area as they could suffer from stomach problems. A Garuda Wu Lou will counter the bad chi. The Multiplying Star strengthens the annual Illness Star which is of course bad news. This combination is harmful for marriage and can bring serious illness to those whose health is already weak. The illness will particularly affect the lung and nose. Cure with a Garuda Wu Lou and place a Double Happiness Symbol to keep your relationship strong. Elderly people should avoid sleeping in the WEST this month and move to another bedroom if possible. Carry a Wu Lou amulet to safeguard your health. The No 1 is an excellent star which brings professional success and victory luck for those in high-profile careers. Fortunes improve, especially for those born in the Years of the Ox and Tiger and of course those with bedrooms or main doors in the NE. There will be new prospects for professional advancement. Activate this auspicious energy with a Windhorse canvas print (or a Windhorse lumi tile on your desk) or the 3 Great Emperors on Horseback. Students can benefit from this fabulous energy too and should spend more time in the NE. Please make sure that the area is not excessively noisy though as that could aggravate the annual No 3 Star, causing arguments and bad tempers to flare up. Cure with a pair of Red Tzi Chi Kau or, if this is your dining room, keep a bowl of red apples on your dining table. This is going to be a very unpleasant month for those staying in the NORTH or born in the Year of the Rat as the 5/3 is a most unfortunate combination of stars. The argumentative No 3 Star adds to the misfortune brought by the annual Five Yellow. There is danger of disputes over money, general bad fortune and bad business luck. Please make sure you have a large 5 Element Pagoda in place and display a Red Eagle to keep the No 3 Star under control. Keep this area as quiet as possible this month. The patriarchs and those staying in the NW will enjoy wonderful prosperity and money luck this month. This is an excellent time for business expansion and career advancement. Those born in the Years of the Dog and Boar and those with main doors here are particularly lucky. You can enhance your wealth luck with a Wealth Bowl, a Wealth Tree or the 108 Lime Tree placed in the NW.